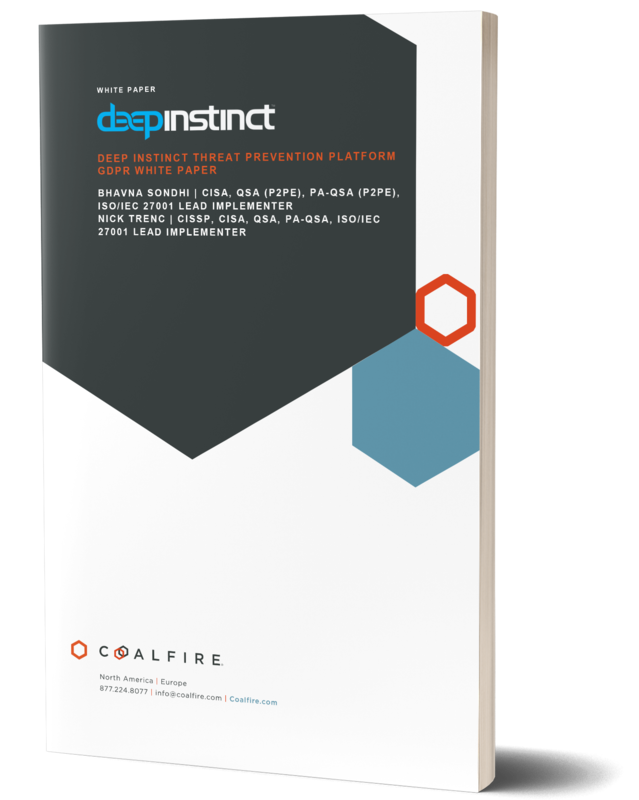 Coalfire determines Deep Instinct solution suitability for meeting the General Data Protection Regulation (GDPR) for full protection. We’re happy to announce that Coalfire Systems, Inc., a leading independent industry provider of IT security, governance, and regulatory compliance services, has validated that the Deep Instinct Real-time Threat Prevention Platform is suitable to meet the General Data Protection Regulation (GDPR) for protection of personal data. Coalfire conducted the validation by completing a multi-faceted technical assessment which included technical testing, reviewing the architecture of the endpoint solution, compliance validation and additional testing to cover macOS and the behavioral analysis feature developed for Windows.